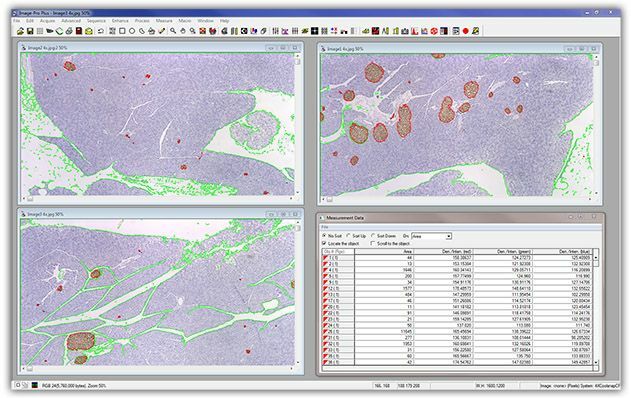 Used by thousands of researchers worldwide, Image-Pro Plus image analysis software makes it easy to acquire images, count, measure and classify objects, and automate your work. As the original 32-bit Image-Pro, this software solution offers microscope control, image capture, measurement, count/size, and macro development tools. Accurate image analysis begins with acquisition. Utilize the full precision of your capture equipment with easy-to-use capture tools. Image-Pro Plus supports a wide range of digital cameras, image capture cards, and other devices. Investigate changes in specimens or materials over time by acquiring images at predefined intervals. Play your time lapse images as a movie to view movement and other activities. Use a wide range of morphological filters to precisely segment structures and prepare images for automatic segmentation and measurement. Use pseudo-color to highlight features of interest in a gray scale image. Use colors to visually amplify specific intensities which are normally difficult to distinguish from their surroundings. Count and Characterize objects using over 50 manual and automatic measurement tools including areas, perimeters, lengths, roundness, major and minor axes, angles, centroids, holes, and population density. Tag objects of interest and easily sort by size or other measurement parameters. Using a user defined classification method, cells, particles or objects may be grouped into classes based on any measurement parameter for distribution analysis. Extract quantifiable data from your images using a variety of measurement options. Metrology tools allow you to measure best-fit line, arc, and circle. Detect edges and derive distance measurements using the Caliper tool. Detect co-localization in biological specimens and graphically display the association between the two sets of data in a scatter plot. Manually or automatically follow cells or other organisms as they move through time and space. Use correlation tracking to follow objects when image segmentation is difficult or not possible. Track and graph the changing of intensity parameters over time within an area of interest. Visualize image data with scattergrams, histograms, and line profiles. Export image data Microsoft Excel. Easily convert sequence files to AVI files. 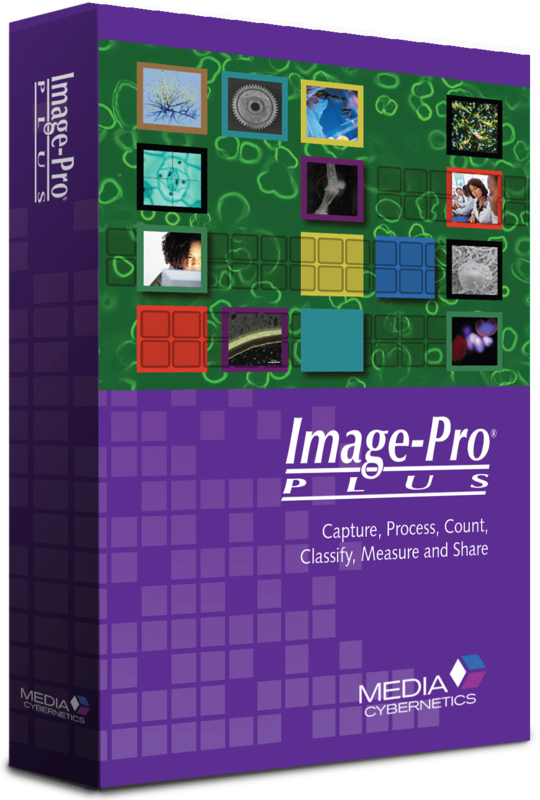 Image-Pro Plus offers convenient customization tools and a built-in Macro programming language to streamline your imaging research. Save frequently performed operations using the Macro Recording tools and easily edit macros. Use the time-saving macros included in Image-Pro Plus or download macros from the user-contributed App Center site.